Keeping a daily journal is one of the best ways to keep your thoughts organized. Not only can it help you think more clearly, it can also help you reflect on your past actions. After writing for a while, you'll get used to putting your thoughts in text form and reflecting upon them. Journaling isn't something new, though. The act of writing a journal has been practiced for centuries. However, it is now that this lost art form is regaining its popularity. 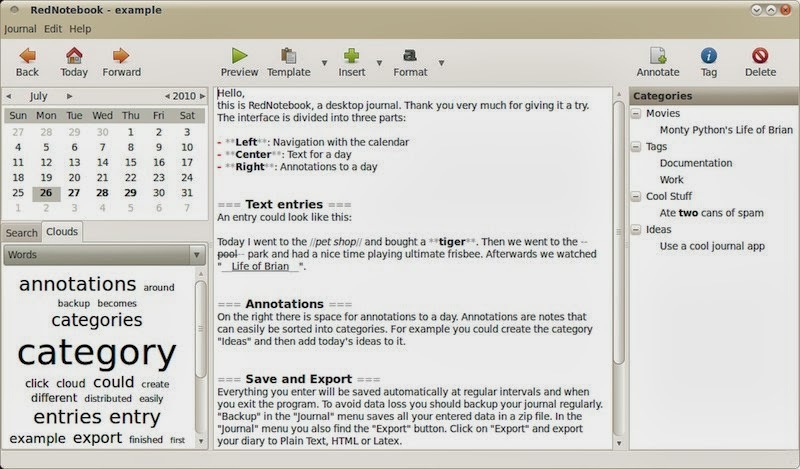 Over time, various tools have popped up that help users with maintaining their own journal. Sites like 750words.com push users to put their thoughts on paper. 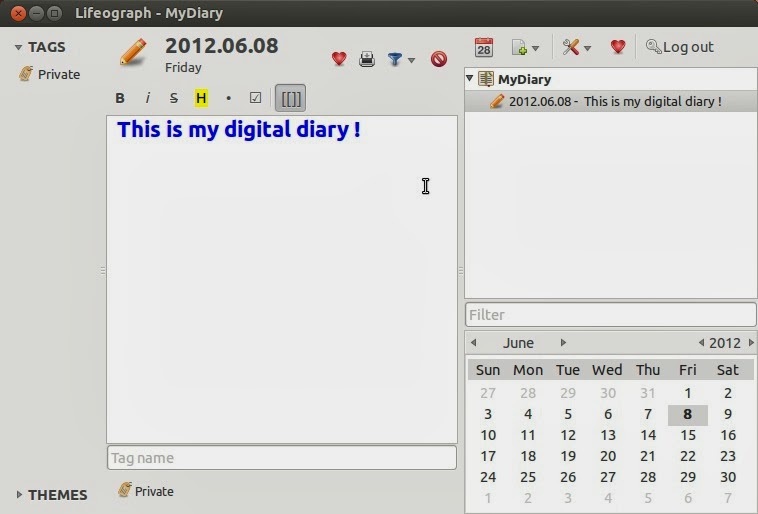 On Linux too, there are a few tools that help users maintain their own personal diary. Following is a list of 5 such tools that stand out from the crowd. 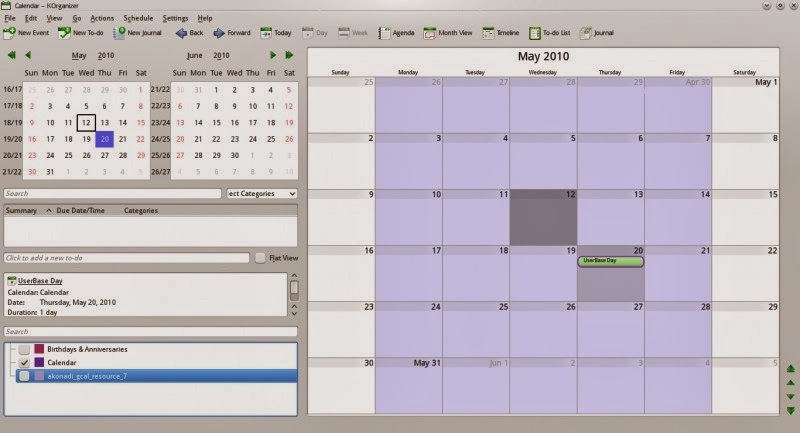 Note: It is not safe to write your personal diary on a computer that is accessed by multiple users. In that case, it is advised to lock the journal with a password. Also, it is necessary to use backup tools like Ubuntu One or Dropbox to safely backup your data to the cloud. 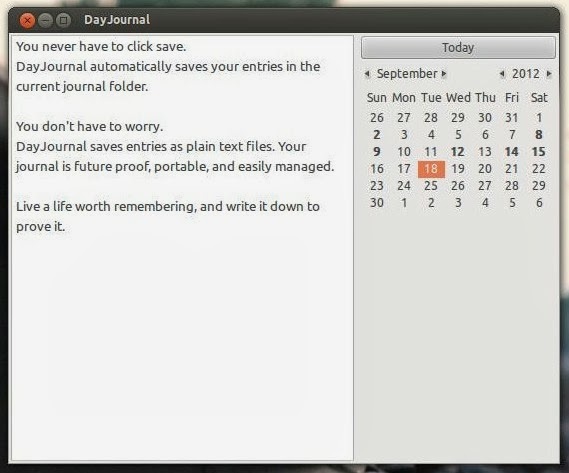 DayJournal is a minimalistic digital journal that lets you create your own future-proof daily journal. Designed with simplicity in mind, this paid application automatically saves your entries as you type. Integrated perfectly with Ubuntu's HUD, DayJournal also comes with keyboard shortcuts for easy navigation. One of the best features about this application is that it integrates perfectly with Ubuntu One and Dropbox thus taking care of the backup problem. If you're a little old-fashioned and want a printed archive of your journal, you can simply export your journal to HTML and take a printout. 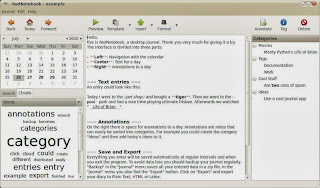 Priced at $2.99, DayJournal can be downloaded from the Ubuntu Software Center. This free application is a perfect tool for keeping your journal. Once installed, not only will you be able to write your entries, you'll also be able to tag them and search them for later reference. If you are a little more creative, you can insert images, files, and even links to websites in your entries. One of the best things about RedNotebook is that it works across all platforms be it Windows, Mac OS X, or Linux. Once you're done writing, you can then export the journal to PDF, Latex, or HTML. Written in Python, Thotkeeper is a simple application that lets you keep a daily journal. Not bloated with many features, this app does what it says on the tin: It helps you write your thoughts and that's it. The interface is simple, easy to navigate, and without any fancy bells and whistles. Thotkeeper works perfectly across both Windows and Linux platforms, thus you won't have any trouble switching your data between different computers. 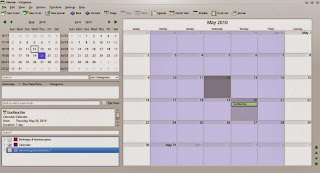 Lifeograph is an application designed to help you create a personal digital diary. 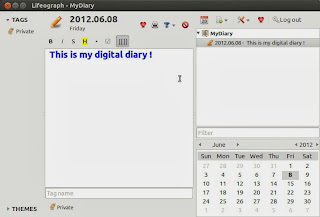 The application puts emphasis on the 'personal' part of the journaling experience by supporting encrypted diaries. The application is designed smartly so as to log off when not used for a while. Moreover, it also comes with some interesting features like entry tagging, spell checking, automatic backups, links between entries and more. Korganizer is not a dedicated journaling tool; however, with the suite, you'll find a nice journaling tool that perfectly does the job. Once you install Korganizer or the KDE suite on your desktop, simply open Korganizer and go to the View -> Journal option. 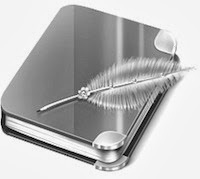 From there, you'll be able to write your journal entries. One of the best things about this suite is that it integrates pretty much everything you need from an organizer and blends it all together into a nice productivity and personal management suite.